The Hahnel HC-7D Infrapro Battery Grip for Canon EOS 7D Cameras is an easy way to double your shooting time and get a better grip while shooting in portrait orientation. 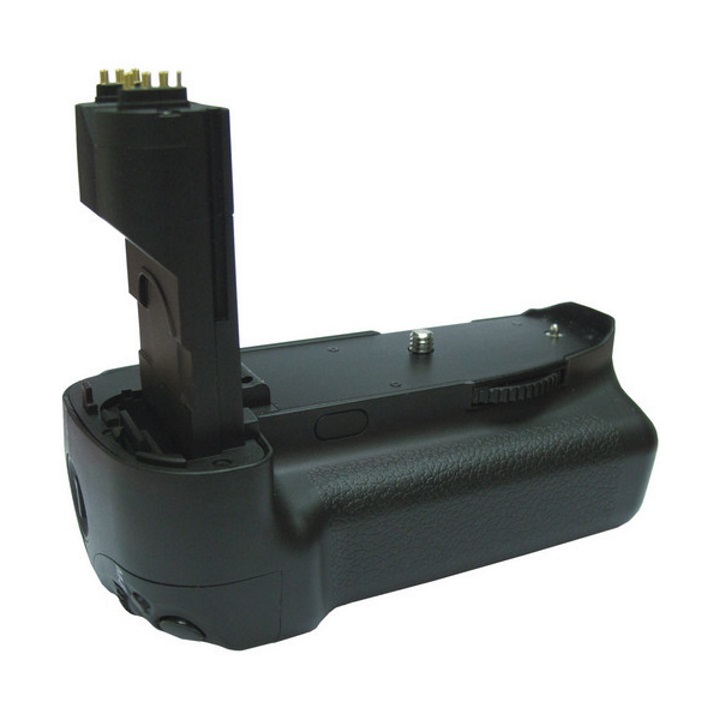 This professional battery grip operates on 1 or 2 rechargeable LP-E6 or HL-E6 lithium-ion batteries or 6 rechargeable Ni-MH or alkaline AA batteries for much longer shooting sessions, without having to stop to change or replace batteries. The grip attaches securely to the camera body and there's a vertical firing release with a lock, so shooting verticals is as easy as shooting horizontals. 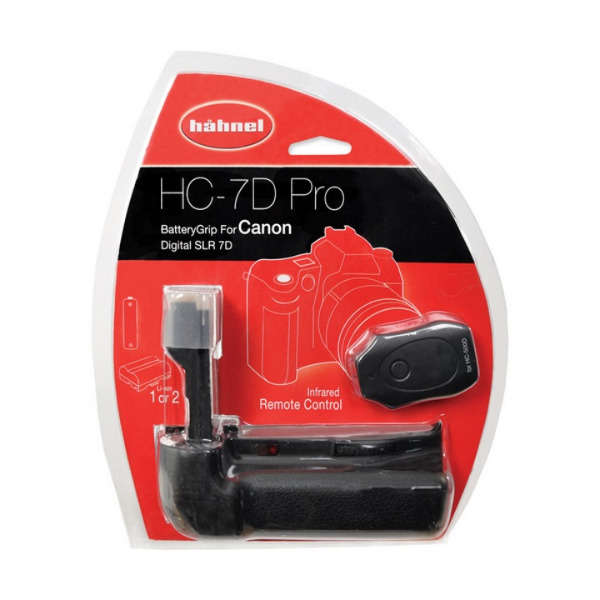 his grip features a built-in infrared receiver that allows remote shooting within a range of up to 10-12 m. The remote control transmitter provides autofocus before shutter release and continuous shutter release or bulb function for as long as the button remains pressed. Built-in power management regulates the power output and detects use of Li-ion or AA batteries automatically. Batteries are not included.